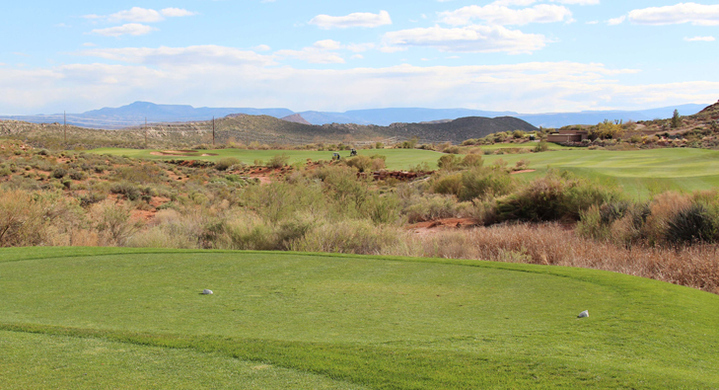 Coral Canyon Hole 1: The golf course gets cracking back to back par fives, and this one is downhill and relatively wide-open, which presents the golfer a great chance to start the day with a birdie. 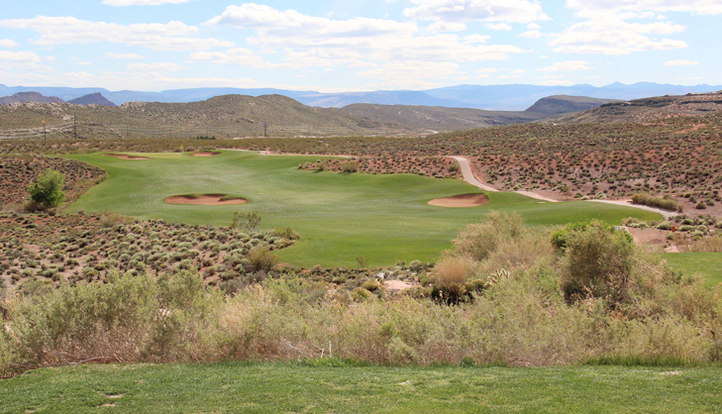 Coral Canyon Hole 2: The second par five in a row features a tight drive and a green that is bordered by bunkers and desert to the left side and steep mounding to the right. So, accuracy is key throughout. 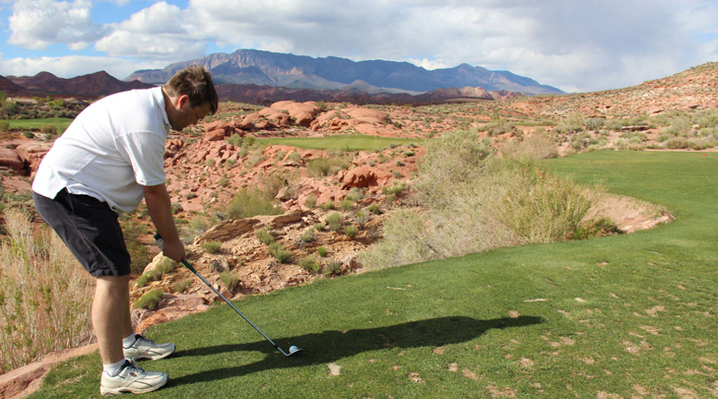 Coral Canyon Hole 6: The signature golf hole is a short par three placed in a red rock amphitheater. Any pin placement on the front of the green or tucked to the far left will raise the blood pressure as there is no room to miss short or left without earning a penalty shot. 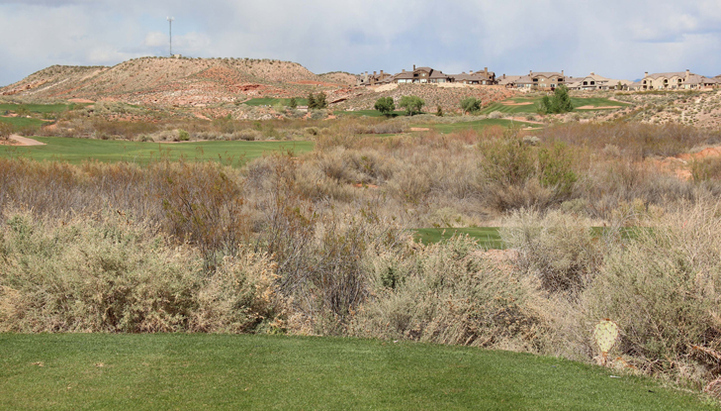 Coral Canyon Hole 7: The first long par four of the day is an uphill dogleg left with a challenging drive that must negotiate the fairway bunkers. The green is pretty wide open, but does have a tier in its middle that will make long putts and certain chips difficult to manage. 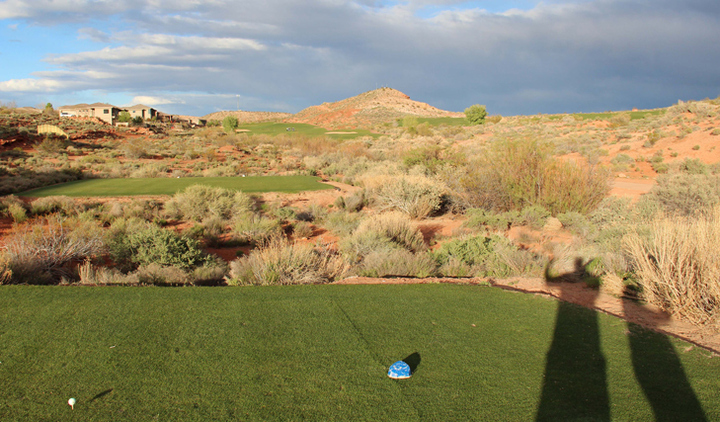 Coral Canyon Hole 9: This golf hole doglegs to the left around the desert and red rocks. Anything going in the junk to the left will likely require a re-tee due to the significant bend of the hole. However, the player that can bite off the corner is rewarded with both a shorter approach and a better angle to the green. 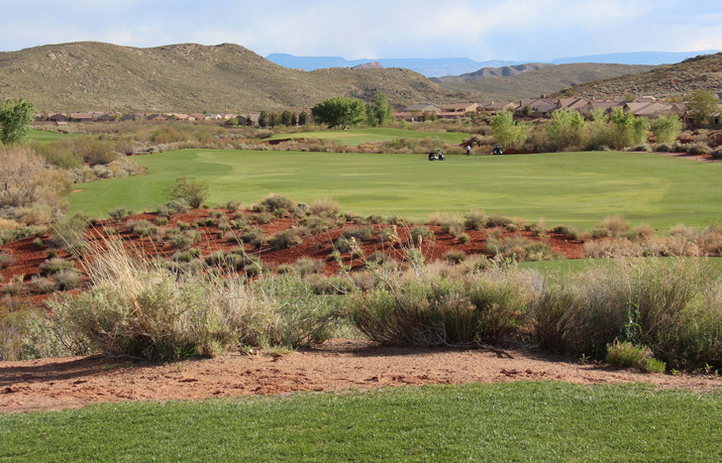 Coral Canyon Hole 12: This is a straightforward, long par four with a wash crossing the fairway. Only the longest hitters can reach it, however, so the focus must be on hitting a long, accurate drive to leave a shorter approach to the green, which is fronted by a deep bunker. Coral Canyon Hole 16: This short par five is a good scoring opportunity if the drive can avoid the large bunker right of the fairway. From there, the green is tucked between bunkers short left (30 yards short of the surface) and short right (right at the green) with the only other trouble being shots that go way left or long. Coral Canyon Hole 18: The final golf hole is yet another par five (the 5th of the day). 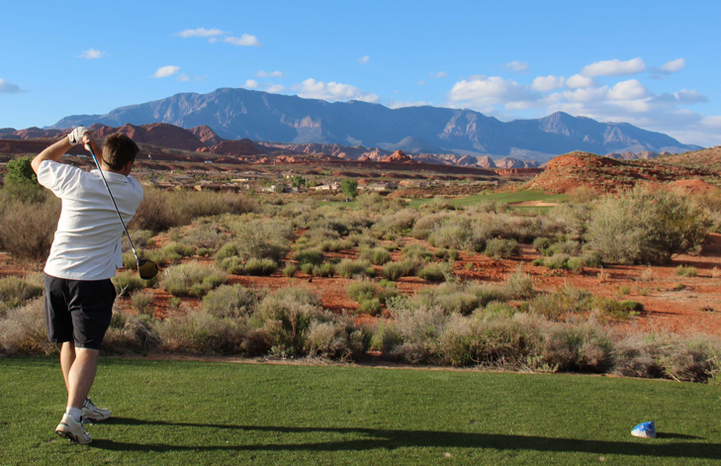 It also has a very tight tee shot with desert on both sides. If, however, a straight shot is hit, the hole is uphill but with little real trouble to stop the golfer from ending the day with a good score.